The time has come, my friends. We’re taking this show to Washington. On January 31st, US Senator Kirsten Gillibrand (and can I just say, Oh my God, I LOVE her) and US Congressman John Larson (whom I don’t know, but since he’s doing this I’m going to say that I love him too) will host a Congressional briefing on Capitol Hill on the challenges faced by military families raising children with autism. Please – make that PLEASE – make sure YOUR story is heard. You don’t have to pack a bag. You don’t have to fly to Washington. You don’t even have to leave your house. All you have to do is click on the video below and then follow the instructions for uploading YOUR family’s story and ensuring that our lawmakers – the ones with the power to make things better for our nation’s littlest heroes – hear it. This briefing is a huge step closer to making H.R. 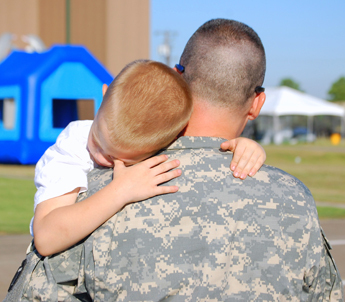 2288, The Caring For Military Kids with Autism Act a reality. But it won’t happen without YOU. Tell your story. Washington is listening. You don’t have to be a military family to send a clip. Heaven knows, I’m not about to let my status as a civilian stop me from taking the opportunity to tell my lawmakers why this matters so damn much. You don’t need to wear the uniform to know why it is unconscionable to leave those who do without the ability to provide for their children’s most basic needs. Please tell them that. Congress need to know that there is overwhelming civilian support for this bill. Please take the time to do this. It’s such a small expenditure of effort to show our heroes that when the time comes, we will be here to fight for them just as they have fought for us. Thank you from the bottom of my heart to Rachel Kenyon and Karen Driscoll for the unbelievable amounts of work they put into this. They carry their brothers and sisters in arms on their backs and in their hearts. Their burden is heavy, yet they press on day after day to do what it right. They inspire me to be better – to do more. Thanks to Autism Speaks for picking up the mantle of advocacy for these families and shining their fabulously bright spotlight on their challenges. We are so grateful for their help and guidance. Thank you to Senator (Oh my God I LOVE her) Gillibrand and Representative Larson for their support and leadership in Congress. And mostly, to our soldiers – thank YOU. Thank you for making unimaginable sacrifices in the name of your service to this country. Thank you for standing by us, keeping guard and keeping us safe, even when it seemed that your country was not there to do the same for you and your children. Doing all that I can to support this effort. Thanks for all you do to bring it to light. We do. We really do. Our fellow military are our families in every sense, our brothers and sisters, our children. It is beyond enraging to hear what our brothers and sisters are going through trying so desperately to give their babes what they need, all while making sacrifices beyond comprehension to serve our country. Thank you, Jess. Thank you so very much for answering the call and encouraging people to act. Rachel B, it is our work as a united team – that *is* the cavalry. Last night at a Military Special Needs Network meeting, I met a woman with a 27 year old daughter with severe autism. Her daughter cannot be left alone and when her husband retired, her respite hours from the military disappeared along with the ABA coverage because ECHO is not covered under Tricare for Life. Her daughter is now exhibiting violent behaviors that she has not shown signs of in almost fifteen years, and the mom is essentially house bound because of the cut in respite hours. This woman was rasing her daughter in the military in the 80’s and 90’s before the support system existed and before even active duty received ECHO. She was one of the pioneers that got the military community even as far as it is today and then just had the legs cut out from under her when her husband retired and has been struggling ever since. Drives me absolutely craz. Absolutely. It’s crazy. And unfortunately, our larger battle is with the misinformation the DoD relies on to continue to deny services. We’re working it, Girlfriend. We are. And thank you – because we need your help, too. It will get better, and we do so sincerely thank those military families that have gone before us and gotten us to where we are today. It is up to us to keep it moving forward. i hope this briefing will lead to some positive, constructive changes for military families…very exciting that this is happening, thanks so much for posting this, getting the word out. it is a terrific thing that’s happening. Thank you, Jess, for helping our military service members and their families. You ask my husband what is harder: Flying into a combat zone under heavy fire, or watching your child regress because he does not have the appropriate care?….he will tell you the later. We as a country have an ethical obligation to provide the appropriate care and services military children require. Thank you for helping us keep the issue at the forefront. Coming together as a community is so important to help our voice be heard. I have contacted Jon Runyen, who is my congressman and asked for his support. Being the mother of twin daughters with cerebral palsy I know the frustration of being told what care is allowed and what is not. I am not a military family but at the end of the day none of it matters, becuase it is about what we all want for our children. We all go to bed every night with the same worries, frustrations, and sometimes the feelings of helplessness. God Bless us all!! Thank you for taking the time to contact your legislator. THAT is being the cavalry we need so desperately. This is such an important act. I contacted my congressman and hope more will do the same. THANK you. Thank you so much for taking the time to contact your legislator. That is how we will finally get this done – by speaking up – and LOUDLY! Andrea, Thank you for your interest. All of the information is provided within the post. Please click on the words CARING FOR OUR MILITARY KIDS WITH AUTISM ACT in blue to connect with the bill’s website and scroll to the bottom of the video’s page on YouTube for instructions on uploading your video. Instead of spending billions overseas, why are we not taking care of our children and adults with autism? So much more is needed for them in the areas of education and emotional support. But neither our nation’s soldiers nor their children make policy decisions. They simply answer the call of duty and live with the unimaginable sacrifices that that duty entails. 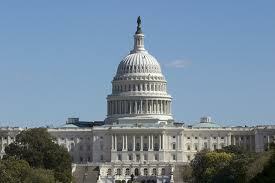 I encourage you to lobby your congressional representatives to bring our soldiers home. If you create an online petition to do so, I’ll sign it. But in the meantime, those answering the call – and those wounded at war and forced to medically retire – cannot provide care for their autistic children. So while I think bringing our soldiers home is a noble goal and I support it wholeheartedly, while we still call on them to serve, we MUST care for them in return. There are instructions below the video on YouTube that explain how to upload a video message to be shared with Congress. Thank you for your family’s service. Sorry about that. It just embeded the video again. At the lower right-hand corner of the video, click on “YouTube” – it will take you to the original video post on YouTube where you will find instructions. I emailed my congressman. This is a bill that NEEDS to be passed!!!! Thank you for doing this. My husband is in the Air Force. we have three kids, two of whom are autistic. I can say that in the beginning with our daughter, in the late 90’s we could never even mention autism or sensory integration without her therapy being taken away. I have had to do all the work myself, paperwork finding therapies, etc, without having any organization helping me. Fighting with TriCare was a constant battle. We never had respite care, still don’t. My two will always need to be with us and the fear of what help we do get being taken away, makes me ill. I thought about doing a video, but I just wouldn’t know what to say. I wish that I could have them do natural therapies, or see a DAN doctor, but for that, I have to change our insurance plan. So much work and I already am overwhelmed by what I have to get done. I also know that I have it easier than most parents of autistic kids, but it is still tough, especially being a military family. We just moved this summer and for my youngest this was his first move. It was very hard for him and he couldn’t verbalize it until he started school. He refused to cooperate, he actually lost some of his academic skills. It was and is pretty rough. Good luck to you all and thank you. My family is about to leave Active Duty service, and I’ll be honest, I’m worried about how it will impact my son’s care. Granted, the services in this part of Germany are limited already, but with the mother of all transitions coming – a transcontinental move – I know my DS is going to be highly vulnerable. And then he starts 2nd grade a mere 8 weeks later. What’s going to happen when he’s not surrounded by the sweet kids he went to preschool with? I just sent off a letter to my Congresswoman. I am the Mother of a career Military man who is expecting his 3rd child, a boy. I am also the Grandmother of an 8 yr old boy with non-verbal Autism outside the Military who has realized the benefits of early intervention and continuity of care with the ABA method. I pray this next child is born “typical” but if it is not to be, then this Act 2288 wil lbe significantly more important to me. I sincerely hope the elected officials do the right thing. It’s time to step up to the plate and get it done! I don’t see the point of this amendment to Article 10. Behavioral Services, including ABA are already covered under Tri-Care. Also, you said in your video that families with dependents are moved around. Once a family is assigned to a duty station under EFMP, they cannot be moved and if the soldier comes up on orders, they go to Levy and have them cancelled. I’m appreciative that you support those of us that serve but please share accurate information and don’t exploit to sway. That does more harm than good. TRICARE does not cover autism therapies. A separate arm of services called the Extended Care Health Option (ECHO) which is secondary to enrollment in the Exceptional Family Member Program (EFMP) does offer what amounts to an average of 11 hours of ABA therapy per week – far below the recommended 25-40 hours per week. Enrollment in EFMP in some cases is a barrier to care, and some service members fear enrollment will substantially limit career advancement. EFMP was designed with good intentions, yes, it is supposed to ensure that a military family with a child with special needs is never stationed where services are not accessible. However, we are not addressing EFMP itself. We are asking that TRICARE take autism therapies out of ECHO and place them as medically necessary as part of TRICARE standard – thus making these proven treatments available to all active duty and retiree dependents and removing the dollar cap on care. ECHO is not available to retirees. Wounded Warriors who are forced to retire due to injury or disease do not have access to autism services. According to TRICARE/DoD data, less than 10% of active duty families who do have access to ECHO are accessing autism treatments, yet none are receiving the recommended amount because of the dollar cap ($36,000 per year). Also, families accessing autism therapies under ECHO are force to choose between ECHO benefits in order to maximize autism therapies. For every dollar of ECHO benefits used towards other services, a dollar of ABA is essentially taken away. We seek to change that. Autism therapies should not have barriers to receive care, they should be equally accessible to the military family as would treatment for heart defects or a broken arm. I’d like to add… With the advocacy efforts of Autism Speaks, 29 states have now passed insurance reform to include autism therapies as medically necessary – we are seeking to do the same for our military families. This is not an issue of civilian versus military, it is an effort to level the playing field for ALL children with autism. This effort neither detracts from or argues the continued efforts to make proven treatments readily available to all. In addition, to state that a soldier (or more accurately servicemember) cannot be transferred due to EFMP enrollment is inaccurate. I can only comment with certainty on Navy policies, since that is my branch of service, but we can be transferred, as long as it is to a location that has services available. My daughter is a CAT five, and I was transferred about a year ago. I am not citing inaccuracies regarding EFMP. I did not say a soldier could not be relocated because of EFMP. But I have spoken to dozens of families that have been moved to EFMP-appropriate stations that are supposed to have appropriate services available, but could not access them. I have also spoken with families who lost opportunities for career advancement because EFMP status limited their ability to be assigned where they otherwise would have moved on to accept those advancements. Thank goodness your EFMP status and location are working for you and your family. But let’s not discount the thousands of families with different access to EFMP and different career status and location. Your experience with EFMP should not cloud what we are attempting to do which is to level the playing field for ALL military families of ALL branches of service. I say this with respect. Again, thank you for your service and I am thrilled to hear you are receiving what you need for your family. But please do not assert that our efforts are misleading. Congressman Larson and Senator Gillibrand, along with the 35 cosponsors of HR2288 – The Caring for Military Kids with Autism Act agree that regardless of EFMP, autism therapies need to be placed under TRICARE Standard as a medical necessity. Then EFMP can continue to provide support to our special needs families, rather than continue to be an added application process for getting autism care. Sorry for any confusion! I realize that my answer was intended to cover all aspects, and wasn’t meant to argue any individual’s experiences. I just want everyone to understand that the efforts highlighted here are intended to increase accessibility via TRICARE medical insurance and truly we are not addressing EFMP itself. I apologize. I realize that I hit reply to your comment instead of the one that I had intended to reply to. My response about EFMP families moving was intended for the woman that stated that once a family was enrolled, they no longer needed to worry about moving. I just wanted to clarify that that is inaccurate information, at least in the Navy. I agree with the proposed amendment for ABA coverage from ECHO to Tricare. Thanks, Sarah! We appreciate your support!